From Saturn: On October 19, 2009, we sent a letter with the news that the sale of Saturn could not be finalized and as a result, the Saturn brand will be phased out over the next year. Reading letters you sent in, as well as the thoughts that were posted on saturn.com has been an emotional and uplifting journey. Barbara Wieland from the Lansing State Journal: Sherrill Freeborough is finding there is life after Saturn. 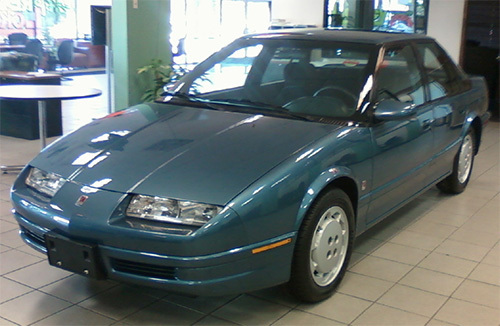 Freeborough was one of 340 Saturn dealers left hanging when GM's deal to sell the division to Penske Automotive Group collapsed September 30. GM quickly halted Saturn production - including dropping the Outlook crossover made at its Lansing Delta Township assembly plant - and began shutting down the brand. "It was sickening, disheartening," said the normally upbeat, optimistic Freeborough. "It took some time for the reality of it to sink in." Cindy Wojdyla Cain from the Herald News: Saturn will shut down completely by October 2010, said Eddie Larson, general manager of Saturn of Joliet. Larson, 29, has worked for Saturn since he was 21. He has never even had to write a resume other than one for a college class because he has continually been promoted within the company. Michael O'Rourke from the San Antonio Express-News: First came the news that Pluto is no longer a planet. Now, Saturn will no longer be a car? These are strange times to be living in our universe. I never owned a Saturn. My brother had one. When he bought it my first question was, "Did they do it? Did they all come out and clap for you?" West Michigan television station WZZV Channel 13 spoke to Ron Macearn, General Manager of the Suburban Collection, owner of all the Saturn retail facilities in Michigan, about General Motors' to plans to possibly sell or close the once independent Saturn brand. WZZM 13 News reports that Macean told the station that they find the development "very disappointing. It's a very successful brand for us and we remain optimistic." There are currently 12 users and 369 guests online.